In the middle of the choas in the Dutch East Indeas in Febrauri 1942, Abbekerk was send from Singapore to Oosthaven, Sumatra. There a small regiment of gunners that had been aboard since she left England was send adhore, taken with them all the Bofors guns, leaving Abbekerk with only two Lewis machine guns as defence against airplanes. Since Sumatra was overrun by the Japanese only days later I never expected to find out what had happened with those gunners. Two months ago I recieved an email from Peter North, sonÂ Geoff North, who was the second Lieutenant in charge of the gunners on Abbekerk.Â Peter found a picture of Abbekerk in his fathers things and thanks to the Internet a connection was quickly made. Lt. Geoffrey North was part of the 35th Light Anti Aircraft Regiment. This Regiment was send to Persia in convoy WS.12Z. Most of the troops were travelling on the big liner/troopship Narkunda and Abbekerk was carrying the regiments equipment, including Bofors guns and Ammunition. 16Â men were placed on Abbekerk to man two Bofors guns and Second Lt North was in charge. In these last letters from BritainÂ he describes the facilities on the ship which clearly impressed him. He had a â€œfirst class cabin to myselfâ€, very good food -â€œeverything unrationedâ€, with â€œlashings of butter etcâ€. It was clear that the availability of a wide variety of food provided a dramatic comparison with wartime rationing in England. He said that â€œthereâ€™s a lovely saloon lounge â€“ with cocktail bar, wireless etcâ€, and also â€œa small modern libraryâ€. Whilst all this was clearly different from the troopsâ€™ accommodation, he said that â€œthe boys are well off too â€“ much better than Army rationsâ€. As he settled in, he kept reassuring Freda how well he was being looked after: â€œYou should see my super cabin with separate toilet and a steward who calls me with coffeeâ€; but he also said that there was hard work to be done which kept him busy, with his troops â€œas keen as mustardâ€. Geoff is quite an artist and made a lot of drawings he managed to keep with him the rest of the war. This is part of WS.12z on its way via Freetown to Durban. The convoy sails to Freetown and then Durban. GeoffÂ descibes the shipâ€™s officers as â€œfat, jolly and excellent men to be with â€“ they make quite a fuss of me which is very niceâ€ and looked after him very well. He later said that one of the officers had become a particular friend. He said that he did not think that the Dutch shipâ€™s officers realised that he was only a very new second lieutenant but he felt that he was â€œquite an important one nowâ€. This is a drawing he made from convoy DM.01. (a small but fast part of WS.12Z) send reinforce Singapore now Japan had entered the war. When Japan entered the war things changed rapidly and Abbekerk was part of the small but fast convoy DM.01 to Singapore. It was clear that Japanse airplanes were a serious threat wich called for serieus measures: the crew of Abbekerk put Bofors guns from the cargo on deck and Geoff trained crewmembers how to use them. Abbekerk spend almost 3 weeks anchored in Singapore that was under constant attack. Here the gunners helped to unload ammunition when labourers refused to unload “the floating bomb”. When at last Abbekerk left Singapore for Oosthaven the gunners were still aboard. Abbekerk sailed for Oosthaven around January 30. Geoff and his gunners left Abbekerk at Februari 3rd. What exactly happend teh next weeks is unlear. Palembang was under attack and on the February 16 Geoff arrived at Batavia on Java. By that time he met parts of the 35th that had been retreating almost all the time since the disembarked at Singapore. By that time the had to abandon all heavy equipment an were to defend the Tjimaha airfield near Batavia as Infantery. When Java capitulated Geoff was taken prisoner. First he was in a POW camp in Tandjong Priok, but later he was shipped back to Singapore and Changi. In October he was shipped to Borneo where he spend the rest of the war in Kuching POW camp. What happened in these camp is hard to imagine. From a simular camp in Sandakan none of the prisoners survived. From Kuching camp only half of the POW were alive when the camp was liberated. â€œThe physical and mental condition of the officers and men under Japanese administration deteriorated to an almost incredible extent, many deaths occurring. This state was entirely and only due to starvation. It was in these circumstances that Mr North undertook to produce as much food as possible from the area available in the camp. It should not be hard to imagine the tact necessary and the careful organising required to ensure constant supplies of food aided only by persons incapable of only but the lightest and shortest periods of labour. It was vital to produce food and the difficulty was to obtain this food by hard manual labour under tropical conditions of heat and poor and unsuitable ground, whilst suffering from lack of the food essential to give the necessary energy required. It is due to Mr Northâ€™s efforts, perseverance and leadership that the lives of officers and men, including my own, under my command have been saved, for without his unfailing good nature, cheerfulness under difficulties, adaptability and planning capabilities, we should undoubtedly (have) starved, as was the case in some other camps. 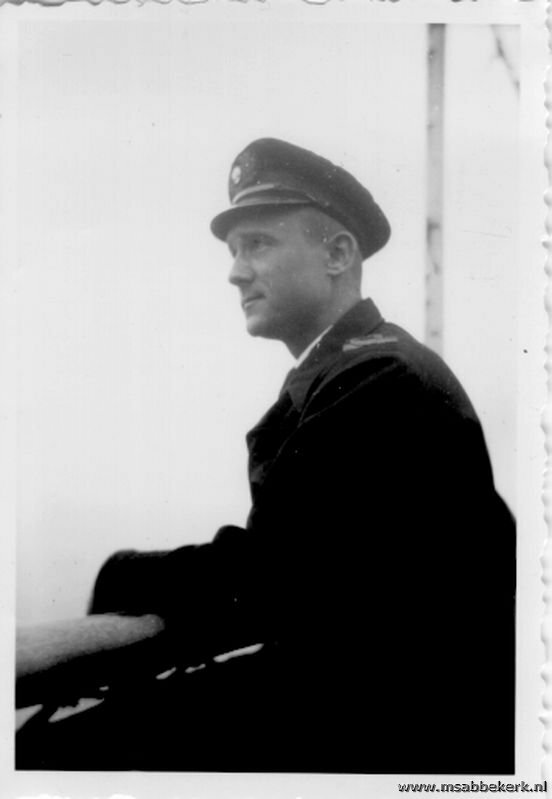 Geoff returned home on the SS Ranchi November 24. Many thanks to sir Peter North for sharing Geoff’s story with me. Just to say that thanks to this site, I was put in touch with Peter North, son of Geoff North, and got a lot of information about camp life from him. I understand the original papers shown here are now in the Imperial War Museum. I am one of the late Lt Col TC Whimster’s four daughters and I would be very grateful to receive a copy of the original letter above or to be put in touch with anyone who has memories of him. He spoke little about his time in Changi or Kuching. As a child I remember seeing a simple exercise book with a record of the deaths of POWs in the camp. I have found three photos of him in the Australian War Archive collection, taken the day after Batu Lintang was liberated by the Australians and know the ship he was transported on from Singapore to Borneo – the SS De Klerk which was renamed the Imbari Maru by the Japanese. The wreck of this former steamer lies off the Lubuan coast and it is now known as the Australian Wreck. Look forward to hearing from anyone who can give me more information.